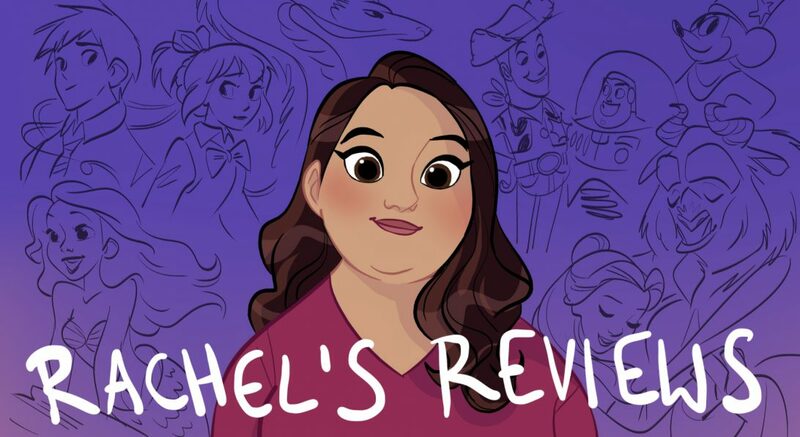 Many of you know I am doing a Disney Canon rewatch over on my youtube channel. I’ve honestly been surprised how different my experience has been with several films- with my either looking more highly or slightly down on films from my 2014 watch. I mean there are very few Disney films I don’t like on some level, so I suppose degrees of liking will vary depending on mood/situation. Anyway, I am up to week 13 which means Alice in Wonderland. I love Alice in Wonderland and it ended up at #11 in my original Disney Canon ranking. This time it could end up even higher. What struck me on this watch is how it is nonsense but nonsense with a purpose. Alice says she thinks the world would be better if it was nonsense and all books had pictures, right was left, up was down etc. So when she gets to Wonderland she experiences her vision of what she thinks will be better and it turns out it isn’t. There’s something interesting there. How often in life do we think another world/lifestyle would be better but if we walked around in our dream world it might not be so great? Alice’s journey is non-linear as far as plot. She meets one character and experiences their version of nonsense. Whether it is an insane tea party, an angry Queen of Hearts or a blubbering philosophizing caterpillar. Some people don’t like that lack of structure but I love it. The voice cast here may be the best in Disney history and the artwork from Mary Blair and team is geometric and rich in detail. I love it. So here is my youtube review of the Animated Alice. Now let’s talk about the 2010 Tim Burton version. I did not like this movie when it came out in the theater but I knew I needed to rewatch it for the upcoming sequel so I tried to go in with an open mind….and boy do I still dislike this movie. First of all, it entirely gets the purpose of Alice in Wonderland wrong. She thinks that nonsense is better and she gets a chance to confront that belief. In this version she is escaping a stuffy proposal because she’s a free spirit. Groan…They keep saying in the film it is her dream but what proof have we gotten of that in the real life segment? And who dreams of these things? It makes sense for Alice in the animated film to dream of a world of nonsense but who dreams of prophecies, battles, apocalyptic death and destruction? That makes no sense where an angry version of nonsense does make sense. Even if you accept a different purpose for the story, the purpose that they chose is incredibly generic and boring. Alice is the chosen one we’ve seen in a million other movies who is prophesied to save Wonderland…oh excuse me Underland (gag me). I mean how many movies from Twilight, Harry Potter, Narnia, Hunger Games do we see this story arc. What they’ve done is take a bright unusual story and turn it into the most milk toast of stories. Now about the visuals. This film won Oscars for visual effects and costumes but to me it looks extremely flat and one-note. Everything is gray and brown and a lot of it can feel quite garish and gross (how about the mote of heads…). I can see why they are pleasing to some palates but to me it is completely bland and seen it a million times. To me it is remarkable that Mary Blair with essentially black backgrounds gets more creativity and better world building in the animated film than all of this 2010 version accomplishes. Then we have the performances and characters. Mia Wasikowska is completely generic and boring as Alice. What is great about Kathryn Beaumont is she seems to have the personality of both a grown up and a child. Here she is a free spirited independent girl- yawn! As far as the other performances, they don’t realize that in the animated film these characters are on screen very briefly so they don’t ware out their welcome. Here Johnny Depp as the marose Mad Hatter is very annoying and nobody should want to hear Helena Bonham Carter shrieking for a nearly 2 hour movie. It’s just awful. The one stand out for me is Alan Rickman as the Caterpillar who is perfect for the part. I know a lot of people like this film but I really hate it. On the rewatch I honestly dislike it just as much as Maleficent. Just not for me I guess. I know that is throwing a lot at you guys in one post but I would love to hear your thoughts on either film. Thanks so much! And if you like my videos please give them a thumbs up and subscribe because each Wednesday I post my Disney Canon reviews. Next up Peter Pan. I sometimes fear that the AIW sequel this year might make $1 billion too. I doubt it, but it’s still possible sadly. Wouldn’t be shocking at all. They know that people would eat this up. But sequel opens same day as Xmen movie. That is terrible news for it! Ooooohh, forgot about that. It will be interesting to see it all unravel. I remember, before this movie came out, seeing the character designs for the Mad Hatter and the Cheshire Cat and thinking, “So this is probably going to be the same story as the Disney film, but even more weird and twisted and in Tim Burton’s style.” Of course, it didn’t turn out that way. Turning Alice in Wonderland into a totally generic action-fantasy with a prophecy and stuff was certainly not the right way to go – nor was focussing so much on the Mad Hatter, presumably because he’s played by Johnny Depp and Burton loves Johnny. Ha. I like your Moms response. I wonder how the sequel will do because I feel like I know very few people who really loved this original. There are some things I’m liking such as the brighter colors but I still very skeptical. It’s a shame because as you say Burton’s sensibility should have been awesome with Alice in Wonderland. Okay, so I watched your review for Tim Burton’s Alice in Wonderland. I do have to say that you make some good points. Yes, I agree with that the plot points in the movie are somewhat generic (a chosen one prophecy, the reluctant hero’s journey, the big battle at the end, etc.). It’s all in a very familiar territory, which can be good or bad (depending on your view). And yes, I do agree that there’s a lot of shouting in the movie. However, I do find that this movie is interesting because its setup as a sequel to the original story. Now, at the time when this came out, the concept of Hollywood “re-imaging fairy tales” was new and Burton’s Alice in Wonderland was one of the first that started that trend. So maybe, I found it refreshing and somewhat intriguing that they would present the feature as a sequel to the original tale rather than straightforward tale. That being said, Hollywood has dragged that idea into the ground with the variations of fairy tales’ stories from fantasy epic (Snow White and the Huntsman), adventurous (Jack the Giant Slayer), to a prequel (Oz the Great and Powerful), or a “another side” of the story (Maleficent). I sort of grew tired of Hollywood trying to “re-design” fairy tales. That’s why I liked Disney’s live action adaption of Cinderella (which mostly told a straight-forward tale to the original). As for Burton’s Alice in Wonderland…yes it was grimier and dark and not as whimsical as the original Disney animated feature, but I kind of liked it. To me, Tim Burton was perfect fit for the movie as the character sort represent the zaniest and weirdness to what he’s known for. Even the character’s designs are a little bit wacky. Of course, this all could be just me and even I have to say that this movie is far from being perfect (I might write my own review this movie on my blog). As for Alice Through the Looking Glass, I’m excited to see it. Yes, I know it’s probably going to deviate a lot from the original context of the story and just keep the mythos Carroll’s Alice in Wonderland (character, setting, etc.) Yet, it will be interesting to see. Who knows…. it’s been more than six years since the first film, so Alice Through the Looking Glass could very well be a colossal flop or a big success. Like the sequel…. only “Time” will tell. Thanks so much for checking out my reviews. I really appreciate it. You make a good point about at least this film being a sequel to the original and being the beginning of these ‘new takes’ on fairy tales. I think that is why it maybe felt more fresh then than it does now. And I totally agree with you on Cinderella sticking to the script being so refreshing after all these deviations. I feel like Burton should have been a good fit but in the end just felt flat for me. But I can see how others might like the aesthetic. I do actually agree with you about Alice Through the Looking Glass showing some promise. The colors look brighter and it looks a little more creative storywise. But I also wonder if it will do well for them. I don’t know very many who are really looking forward to it. Of course…its my pleasure. Thank you for checking out my all stuff on my blog! Since I shared with you guys my book review of Alice in Wonderland here are my thoughts on the Burton 2010 version and the Disney animated classic. I was never a fan of the Alice in Wonderland franchise, and remembering my experience of watching the 2010 one in theaters, it was eh at best. Neither film really engages or entertains me, and I just find it to be too much of a mess to deal with. I do agree with you on the fact that the 2010 version is just boring. Yeah I can see how Alice and the nonsense isnt for everyone. I love it and what frustrates me is Burton looses all of that. Makes it very bland and boring as you say and of all things Alice shouldn’t be bland! When I first saw the promotional material for Tim Burton’s ‘Alice in Wonderland’ I remember just rolling my eyes and thinking to myself “This is just a lousy excuse to put Johnny Depp in a silly hat”. Ironically, because it was very popular around my class at the time, I didn’t find out how much people were agreeing with me years later. The few things I liked in this are: Helena Bonham Carter was memorable as the Red Queen, Stephen Fry and Alan Rickman were perfect as the Cheshire Cat and Caterpillar respectively, and from an artistic perspective this is a creepy and otherworldly visualization of Wonderland – it’s just poorly brought to life due to exclusive use of CGI. But aside from those things, it’s intermittently annoying and boring, and feels like everyone was on autopilot. To say nothing on how liberally it rips off other fantasy works like Narnia and Lord of the Rings, whilst ignoring the book. With all that said, I am much more forgiving of the new ‘Alice in Wonderland’ than ‘Maleficent’. To Burton’s credit, this ‘Alice’ is designed to be different from the original Disney classic and has some semblance of an identity, despite borrowing from other fantasy works. I’m even open to seeing ‘Through the Looking Glass’ and hope that it manages to be more creative and interesting. ‘Maleficent’ pretty much does the movie equivalent of a wolf putting on sheep’s clothing and killing the other sheep in the corral. It pretends to be set in the same fantasy world as the one true ‘Sleeping Beauty’, right down to character designs, settings, visuals, and occasional musical cues. All the while, it spits all over the original story and tells us that it was all a lie. To me, that just adds a whole new layer of dishonesty and callousness; and even ‘Alice’ wasn’t able infuriate me that much. It’s been such a long time since I watched the animated movie or read the book. I’d like to revisit them both. I think Burton’s version looks amazing, but didn’t really live up to the animated one. Alice is my all-time favorite Disney heroine. She’s so charming and adorable, and Kathryn Beaumont portrayed her perfectly. Also, her bloomers (long frilly underwear) are very cute, and I just love the way her dress poofs up like a parachute. I love the part where she flips over as she waves goodbye to Dinah. And “In a World of My Own” is a very beautiful song I could listen to all day. I had always kind of discounted but for some reason my most recent rewatch I really saw what you are talking about. She has the guts to see the world a new way. I really liked the book too.